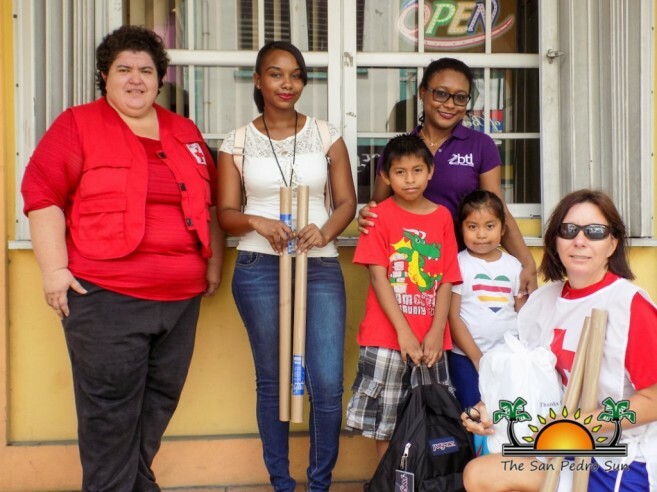 Over a month ago, Belize Telemedia Limited (BTL) collaborated with the Belize Red Cross and The Angelus Press in pledging $10,000 to facilitate school supplies to help the school children affected by the June 27th fire in San Pedro Town. The San Pedro Branch Red Cross (SPBRC), along with representatives of BTL, distributed the school supplies to the fire victims on Thursday, August 25th. 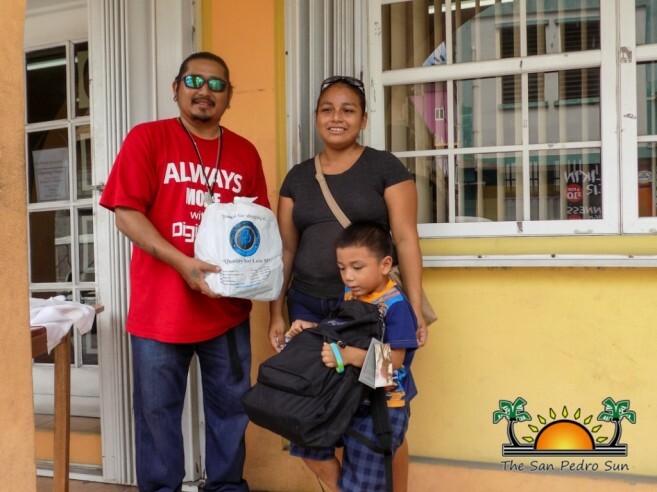 Chairman of SPBRC Marissa Salazar stated that a total of 18 backpacks was given to the fire victims that were enrolled in primary, secondary, and tertiary school. The Jansport backpacks were personally packed based on each grade level with supplies ranging from: notebooks, copy paper, pencils, pens, markers, dictionaries, atlases, book paper and highlighters. According to BTL’s Public Relations Assistant Kiannie White, BTL is always committed to taking part in positive projects in the country. “We were inspired from the minute we were aware of the fire. We actually sent ten of our staff from BTL to come out and assist with collections. We wanted to do more, so we decided to donate $10,000 to the kids who were affected. We are very glad to be doing this for the victims, and we’re excited to be helping the children go back to school,” said White. With the support from BTL, Salazar is grateful that businesses and organizations are always set to help out San Pedro. “I’d like to thank BTL because they were so generous, and also for being good corporate citizens. They were even kind enough to send representatives here to assist us with the distribution,” said Salazar. BTL will also be distributing supplies to those children affected by Hurricane Earl.